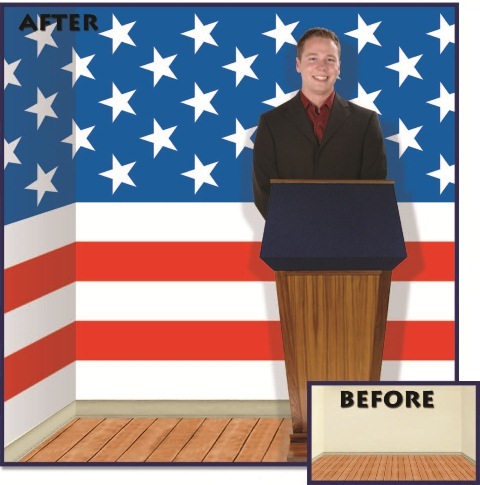 Turn your wall into a United States flag with the Patriotic Insta-Theme! All you need is the Patriotic Stripes Backdrop, and the Patriotic Stars Backdrop. Each backdrop measures four feet tall by thirty feet long. Get ready for a 4th of July Party, an Election theme party or even a Memorial Day party, or use this Patriotic Insta-Theme any time you want to decorate with the red, white, and blue.